Paradise Lost are renowned for many reasons, but perhaps the most prominent one is innovation in the face of an ever-shifting musical landscape. Starting out as filthy death metal, their style has quickly morphed through a bewildering variety of genres – from gothic metal to industrial-driven rock, from synth-pop to doom; say what you will about the band, their discography is nothing if not wide-ranging. 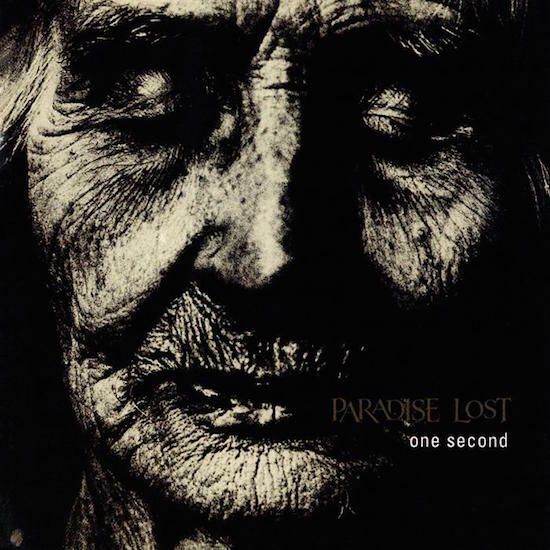 One of the key turning points was sixth album One Second, which saw Paradise Lost dismiss the gruff gothic metal stylings of the hugely successful Draconian Times, and instead explore piano arrangements on top of a gothic rock foundation. 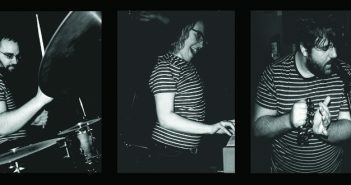 The record drew comparisons to Sisters of Mercy – with whom they toured – and The Cure, and enacted a huge shift in the band’s fanbase. It started off a run of albums which grew further and further from the band’s metal past – Host in particular is a unique and spectacular piece of gloomy doom-pop – and so to this end, the band are honoring One Second’s place in their discography with a reissue on its 20-year-anniversary. In some regards, it was clear from the get-go that the dirty doomy death metal of Lost Paradise and Gothic was never going to be Paradise Lost’s only calling card – the band name allowed for more genre shifting than, say, Necrosadistic Witchcult . “When we were kids, I always said you paint yourself into a corner if you’ve got a real extreme sort of name, so it really was more about the ambiguity of the name [that made us choose it].” For those unaware, Paradise Lost is the name of a epic poem by John Milton, dealing with the Fall of Man from the Garden of Eden. As Nick points out, “The poem itself is really dark,” but the way that it ended up in his possession is suspicious. “The book was at my parent’s house and I don’t know how it got there because none of them read, at least beyond Mills and Boon, or whatever my mum read in the 70s.” Whatever the reasoning for them owning this classic, it spawned a band who created music which turned the metal community on its head. 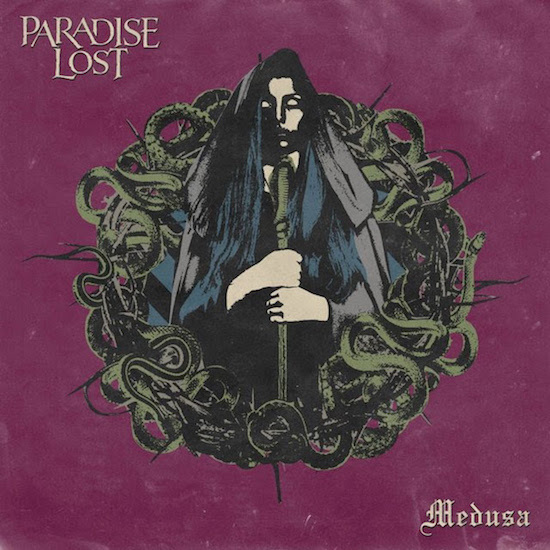 This discussion of changing technique brings us up to the present – Paradise Lost have finished their fifteenth new album Medusa, and the band hinted that the direction is inspired by the track ‘Beneath Broken Earth’ on previous record The Plague Within. This track is notable as possibly the most brutal, doom-driven track the band have done since those Gothic days – Nick’s returns to growls a welcome one which adds extra punch to the song. “That was the last song that we wrote on the last album and it turned out really great – better than we thought it would – and we really enjoy playing it live as well – we’ve even closed the set with it a few times. It just made me really want to explore almost a full album of that type of material. That was the catalyst for writing all the new material.” It’s been refreshing returning to this previous style with new eyes – “It’s something we haven’t really done in any vast quantity for a long time so it’s nice to play again – it’s quite exciting as well. Also with all the songs were written with playing live in mind as well – we didn’t really want to do an album with songs that we perhaps couldn’t pull off live. But I’m looking forward to seeing the reaction when Medusa is released!” We cannot wait to hear it. Our thanks to Nick Holmes and Greg Mackintosh for their time, and Simon Glacken for the opportunity. One Second’s 20-year-anniversary edition comes out July 14 via Music For Nations, go here for pre-orders. Medusa comes out September 1 via Nuclear Blast. You can find Paradise Lost on their website here and Facebook here. 1. As of publication, not an actual band name.